Founded in 2009, Vivo is owned by the same BBK Group that owns Oppo and OnePlus. Vivo has smartphones that range from as low as Rs. 8,000 and go up to Rs. 45,000. However, its best smartphones are in the mid-range price category. Vivo smartphones are known for their selfie cameras. Recently, Vivo has also started equipping all its high-end smartphones with an under-display fingerprint scanner. The V11 Pro is the latest offering from Vivo. Our price list for all Vivo smartphones is updated frequently. We last updated this list on 2019 20th April. 1. How often do I get software updates? Vivo phones aren't generally known for receiving fast software updates. As of November 2018, the Vivo X21 and the Vivo NEX, which were launched with Android 8.1 Oreo, will be receiving the Android 9 Pie update before the end of 2018. 2. How to ensure the durability of your Vivo smartphone? Vivo smartphones are generally well-built and should survive everyday drops and scratches. However, you can use a good-quality case from well-known brands to save the phone from high accidental drops. 3. Which Vivo smartphone has the best display among all? Currently (as of November 2018), the Vivo NEX has the best display quality among all Vivo phones. It has a 6.59-inch Super AMOLED screen with Full HD+ resolution and 86% screen-to-body ratio. 4. What are the available price ranges in Vivo smartphones? In India, as of November 2018, Vivo phones are available from as low as Rs. 8,490 (Vivo Y55s) to as high as Rs. 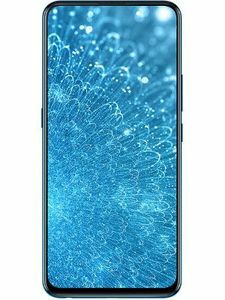 44,990 (Vivo NEX). 5. 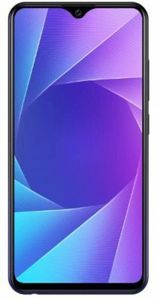 How do I compare two Vivo smartphones in terms of price and utility? You should check their specifications and compare them. The phone with a faster processor, more RAM and storage, larger camera sensor, newer software version and a larger capacity battery is usually a better phone. 6. Which is the best phone from Vivo? Currently, in November 2018, the best Vivo phone is the Vivo NEX. It was launched in India in mid-2018, and it features a completely bezel-less Super AMOLED screen and a pop-up front-facing camera. The phone features a Qualcomm Snapdragon 845 processor, 8GB RAM, and 256GB internal storage. It also features a 12MP+5MP dual-camera at the rear with 4-axis OIS, dual-pixel autofocus mechanism and 4K video recording. There's an in-display fingerprint reader and a 4000mAh battery as well. 7. Are Vivo phones good? Vivo phones are generally decent, with a good build quality and design. However, they're not the best in the market. There are brands like ASUS, Honor, Realme and Xiaomi who make better phones at lower prices than competing Vivo phones. This has been especially true since the start of 2018. 8. Are Vivo phones worth buying? That's a hard question to answer. There are phones like the Vivo NEX and the Vivo V11 Pro which are good for their price tags. However, most other phones seem overpriced in comparison to devices from competing brands like ASUS, Honor, Realme and Xiaomi. 9. Which is best OPPO or Vivo? Do you know that OPPO and Vivo are both owned by the same Chinese brand: BBK Electronics. Both smartphone brands have similar phones and similar marketing strategies: heavily advertising the selfie camera and using big-name brand ambassadors. Phones from both OPPO and Vivo have decent quality and some of their products like the OPPO Find X and the Vivo NEX were quite futuristic when they were released in the first half of 2018. 10. Which is better Vivo or Xiaomi's Redmi? In 2018, Vivo had a better high-end phone, the Vivo NEX, compared to Xiaomi's Mi MIX 2S. In the low-end and mid-range price segments, Xiaomi's Redmi and Mi series phones were better performers and priced comparatively lower at the same time. 11. What is the new Vivo phone? The newest Vivo phone, as of November 2018, is the Vivo V11 Pro. It features a Super AMOLED screen, an in-display fingerprint reader, a 12MP+5MP dual-camera at the rear with 4K video recording, a 25MP selfie camera with HDR, a Snapdragon 660 processor, and a 3400mAh battery. 12. Are Vivo phones reliable? If your question is regarding the reliability of Vivo phones and not their performance compared to other phones, you can rest assured of the quality. Vivo uses high-quality materials and offers well-built phones. 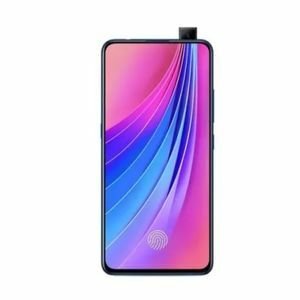 Vivo V11, better known as Vivo V11 Pro in India, was launched in China as the Vivo X21s. According to the official website the device will be available in the domestic market in two colors: Starry Night Black and Millennium Powder. The unit will be available for CNY 2,498 (approx. INR 26,025) on vivo’s website as well as other major offline retailers in China.